Marble Paper Textures 2 is a followup pack of Marble Paper Textures containing 90 freshly hand made marble paper textures and a handy PDF guide. 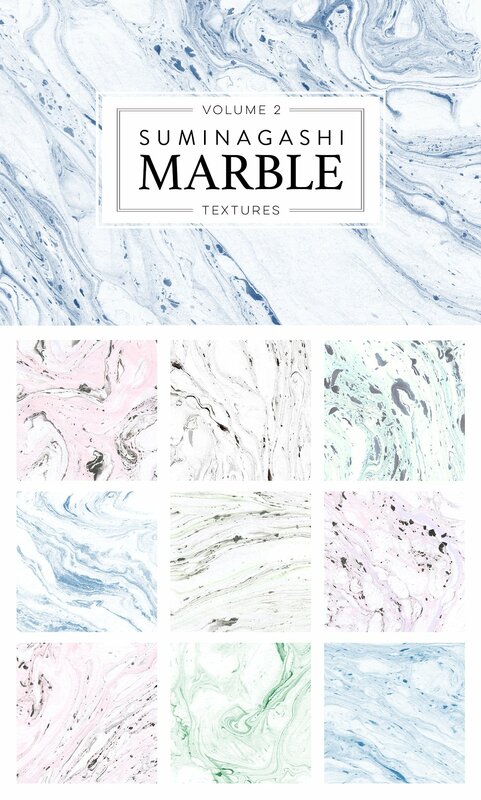 The marbled background textures are sought after these days and are perfect for anything from a website or a banner to any kind of paper stationery, posters, postcards, notebooks, business cards, invitations. Suminagashi means “floating ink” and is the name of an ancient Japanese art also known as paper marbling. These are amazing texture art! A font description published on Monday, February 6th, 2017 in Active, Bundles, Dinara May, Graphics, Textures by Andrei that has 1,820 views.